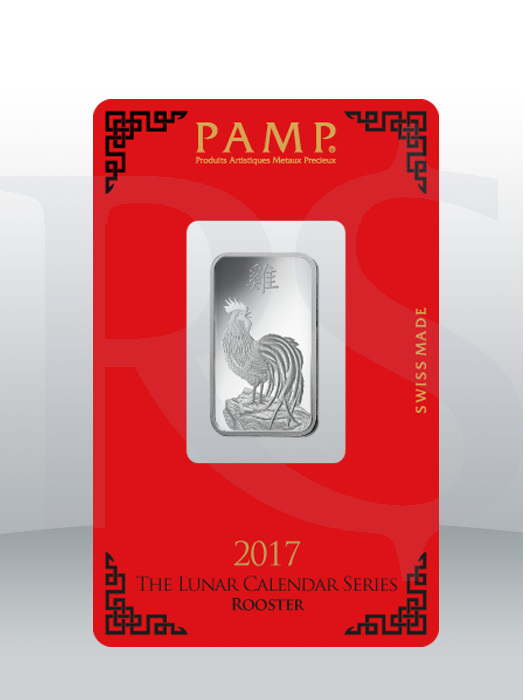 2017 is the Year of the Rooster and all refineries around the globe celebrate it with commemorative and significant releases Swiss mint PAMP is one of the leading and well-known producers of the lunar collections. This year you can diversify your precious metals collection with their amazing 10 gram PAMP Suisse Year of the Rooster Silver Bar (In Assay). On the obverse of this Silver bars is the image of the left-profile rooster, standing at the edge of the hill, looking over his right side. On the reverse is the right profile relief looking back over its shoulder.If you are looking for a product with the perfect combination of a great appeal and impressive purity, these gorgeous PAMP Bars are perfect for both this purposes. The Rooster is the tenth animal in the 12-year cycle of the Chinese zodiac. In Chinese culture, people who are born under the influence of this sign are believed to be hardworking, talented and honest. 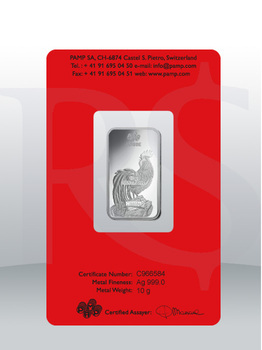 The PAMP Suisse Lunar Rooster 10 grams Silver Bar measures 31mm x 18mm with thickness of 1.81mm. Each bar weighs 10 grams of .999 fine silver. 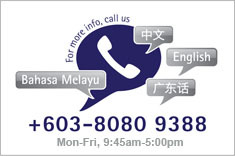 Manufactured by PAMP Suisse, the world’s leading independent metals refiner. Housed in an assay card, certifying the weight and silver purity. Obverse: Image of the left-profile rooster, standing at the edge of the hill, looking over his right shoulder. Reverse: Right-profile image of the Rooster.